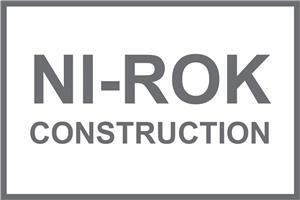 Ni Rok are a North London based construction company providing a comprehensive range of services including residential renovation and modernisation, extensions, loft conversions, refurbishments, new installations, kitchen & bathroom specialists to name but a few. Our company has carefully selected highly qualified tradesman chosen specifically for their professionalism within the construction trade, combined with our non- negotiable ethical standards when it comes to our workmanship, contribute to an excellent quality of service throughout the building process. Ni Rok has accumulated an extensive portfolio through his experience in the building industry mainly due to his thoroughness and hands on approach acquiring the knowledge and skills of his profession and thus has accomplished a majority of his project referrals as a testament to his company. No job is too big or too small as our scale of service has no bounds. We embrace small maintenance work through to the grand projects with the same dedication. For a fast and accurate estimation of cost and time for your project, please contact us either by telephone or email and we will get back to you as quickly as possible.